The more than 150 years old holiday home has a living space of 130 m² and stands on a freestanding 800 m² plot in the middle of the Am-Stettiner-Haff Nature Park. It has 3 separate bedrooms and a dining room. Living room, kitchen and bathroom are also available. Outside there is a patio with barbecue. A playground with swing and other playground equipment is also available. The recreational activities go from swimming, cycling, hiking, nature, fishing to attractions such as the towns of Ueckermünde and Stettin. The Baltic Sea is also just a stone's throw away. 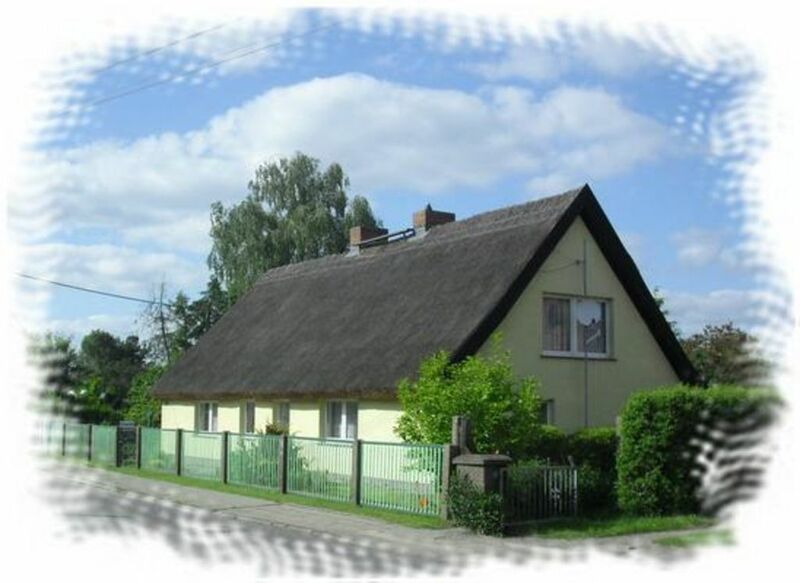 Special features of the house: It is a thatched cottage, with us 2 dogs can stay for free. The house is completely fenced and it has in addition to the heating more than 2 tiled stoves. - Telephone: per object and day included in the price. Grambin is the smallest (by area) in the municipality of Vorpommern-Greifswald. It lies in the east of Mecklenburg-Vorpommern and is managed by the Office "Am Stettiner Haff" and based in Eggesin. The resort Grambin is located on the south bank of the Szczecin Lagoon and on the outskirts of Ueckermünde Heath. In Grambin the Zarow that drains part of the Friedlander Great Meadow in the lagoon empties. The former county town Ueckermünde is just 2 km away. Grambin was first mentioned in documents in 1451. The fishing was performed in 1618 as "Grammi" in a Pomeranian map. Cot (per property per day, included 0 EUR). Additional bed (per property per day, included 0 EUR).